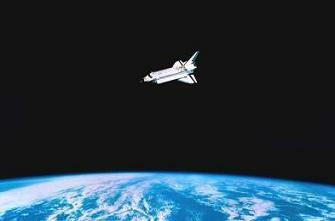 For over 29 years engineers, space enthusiasts, and people around the world have marveled at the technological and scientific achievement that is the Space Shuttle fleet. During this time, the most complex machines ever built have proven themselves invaluable in transforming mankind’s understanding of planet Earth and the space beyond. And for 26 of those 29 years, Orbiter Discovery has stood as the rock of the Space Shuttle Program. The history of the Orbiter Discovery, like those of her sisters, is one filled with accomplishments, triumphs in the face of tragedies, and one of true inspiration. Launching more times than any other space vehicle in history (a distinction she will hold for decades to come since no spaceship currently under construction, design, or research and development is slated to fly more than 10 times), Discovery’s 38 – soon to be 39 – missions place her firmly and unquestionably as the workhorse for the manned space community. 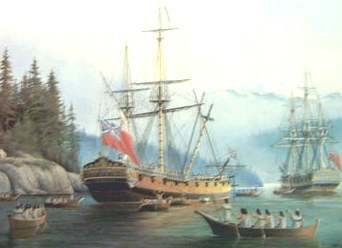 Named after four previous British ships to bear the name, Shuttle Orbiter Discovery honors the HMS Discovery used by Captain James Cook during his third and final voyage (1776-1779); the Discovery used by Henry Hudson during his 1610-1611 search for the Northwest Passage; the HMS Discovery during Captain George Nares’s British Arctic Expedition to the North Pole in 1875-1876; and the RRS Discovery, a Royal Geographical Society research vessel which was the main vessel used during Captain Robert Falcon Scott’s “Discovery Expedition” to Antarctica – and the only one of Shuttle Discovery’s namesakes still preserved as a museum. 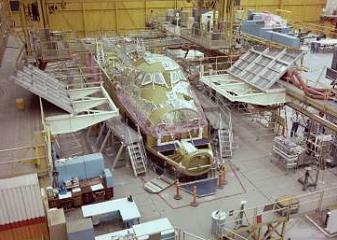 For Discovery herself, the contract to build OV-103 was awarded to Rockwell International on January 29, 1979. Almost exactly seven months later, fabrication on Discovery’s crew module began. This was followed in June 1980 by the start of construction on Discovery’s lower fuselage. Structural assembly of the aft-fuselage began in November 1980 with installation of aft fuselage systems beginning on December 10. System installation into the Crew Module began in Oct. 1981. 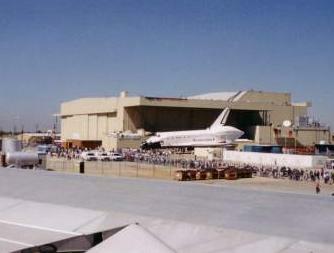 Discovery’s mid-fuselage arrived at the Palmdale assembly facility in March 1982, as did the vehicle’s elevons. Discovery’s tell-tale delta wings arrived in April that same year along with the lower-forward fuselage. Final assembly of Discovery began on September 3, 1982 and was completed on February 25, 1983. Initial subsystem testing commenced on Feb. 28 and all subsystem testing was completed on July 26. Discovery was then rolled out of Palmdale on October 16, 1983. Three weeks later she was transported over land to Edwards Air Force Base where she was mounted on top of the Shuttle Carrier Aircraft and flown across country to the Kennedy Space Center. Discovery arrived at Kennedy for first time on November 9, 1983 and weighed in at 6,870lbs less than sister orbiter Columbia. The following day, Discovery was towed to an OPF (Orbiter Processing Facility) were she underwent initial receiving inspections. She was then temporarily moved to the VAB for storage on Dec. 9 before moving back to an OPF for maiden flight processing on Jan. 10, 1984. Four months later, Discovery was moved to the VAB on May 12 and mated to an ET/SRB (External Tank/Solid Rocket Booster) set. The entire stack for STS-41D was moved to Pad-A on May 19. On June 2, NASA conducted a 20-second Flight Readiness Firing of Discovery’s MPS (Main Propulsion System) SSMEs (Space Shuttle Main Engines). Following this test, Discovery’s maiden launch was set for June 25. The June 25 attempt was scrubbed at the T-9 minute and holding mark due to a failure of Discovery’s back-up General Purpose Computer (GPC). Launch was rescheduled for the following day. This attempt on June 26 proceeded nominally through the terminal count and handoff to Discovery’s onboard computers. At T-6.6 seconds, the command to start the SSMEs in sequence was issued by Discovery’s computers. Within 240 milliseconds of SSME-3’s start (SSME-3 being the first SSME to start in sequence), an RSLS (Redundant Set Launch Sequencer) abort was tripped when Discovery’s GPCs detected an anomaly in SSME-3. In fact, Discovery’s GPCs reacted so quickly to the problem that the command to start SSME-1 (the last SSME to start in sequence) was never issued. This caused confusion in the initial seconds following the abort as the Launch Control Team could not verify the shutdown of SSME-1 (because the engine had not started and therefore could not be shut down). Further complications arose when fire detectors on the launch pad indicated the presence of a fire. The Launch Team responded by activating emergency water outlets on the pad that doused the aft compartment of Discovery with water. Following safing operations, the Flight Crew egressed Discovery. Under Shuttle flight rules, any start of the SSMEs is considered a “flight” of the SSMEs, with a full-up post-flight inspection and refurbishment required on all engines. To accomplish this, Discovery was rolled back to the VAB, destacked, and returned to the OPF where three new SSMEs were installed. Discovery’s payload bay was also reconfigured at this time to incorporate elements of the STS-41F mission which was cancelled in the wake of the 41D RSLS abort. Discovery and the STS-41D stack were returned to Pad-A on Aug. 9 ahead of an Aug. 29 launch. That launch campaign ended with the detection of a discrepancy in the flight software of Discovery’s Master Events Controller relating to the Solid Rocket Booster fire commands. The launch countdown on Aug. 30 was delayed 6minutes 50seconds when an aircraft strayed into the no fly zone. Finally, at 08:41:50 EDT on Aug. 30, 1984, Discovery launched on her maiden voyage with a total launch weight of 263,477lbs. The 6day 0hour 56minute flight orbited the Earth 97 times and returned to land at Edwards Air Force Base, CA. 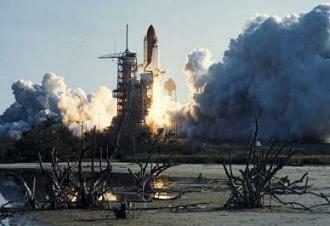 Two months later, Discovery was launched on her second mission, STS-51A. This mission, which launched on Nov. 8, 1984, marked the first time a Shuttle orbiter deployed two communications satellites and retrieved from orbit two other communications satellites that had been deployed on a previous Shuttle mission. Retrieval of the two communications satellites also marked the last untethered spacewalk of the Shuttle Program until 1994. Discovery then heralded another first for the Shuttle Program on her next mission: STS-51C – the first Department of Defense flight of the Shuttle. Launched on January 24, 1985 after a one day delay due to freezing temperatures at the launch pad, STS-51C holds a frightening connection to the Challenger accident that would occur almost exactly one year later. During routine, post-flight inspection of the twin Solid Rocket Boosters, the worst O-ring blow-by effects of any mission other than STS-51L (Challenger) were discovered. The temperature at the time of Discovery’s launch was 53-degrees F and was, at the time, the coldest temperature in which a Shuttle had been launched. In fact, post-flight inspections of the SRBs revealed that the O-rings in both the right and left SRBs showed some degree of charring, with the center field joint of the right SRB showing an unprecedented penetration of the primary O-ring and heavily charred effects on the secondary O-ring – thus confirming the O-rings’ inability to properly seal the SRB field joints in cold temperatures one year before this very combination would claim the Challenger (STS-51L) crew and mission. 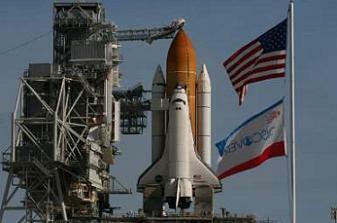 Nevertheless, Discovery successfully reached orbit and completed the 15th Space Shuttle mission without incident. Her next flight, STS-51D, was launched exactly four years after the first Space Shuttle mission. During landing of this mission on April 17, 1985, Discovery suffered extensive brake damage and a blown tire due to the harsh conditions of the KSC runway and an inability to steer the vehicle via the nose landing gear. All further landings were planned to occur at Edwards Air Force Base, CA until the problem could be satisfactorily resolved via the implementation of nose wheel steering. 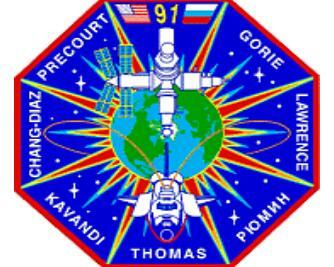 Likewise, Discovery’s next mission, STS-51I in August 1985 saw the deployment of three communications satellites; the mission also saw Discovery flying in space on her birthday – an honor that would be repeated in 2009. STS-51I is noted as having launched in apparent unacceptable weather conditions; Discovery lifted off just as an approaching storm front reached the launch pad area. Nonetheless, after successfully reaching orbit, Discovery deployed three communications satellites and retrieved and repaired the SYNCOM IV-3 satellite which had malfunctioned after deployment in April of that year. Sadly, STS-51I was to be Discovery’s last mission before the loss of sister orbiter Challenger on January 28, 1986. During the resultant two and one half year stand down, numerous safety upgrades were made throughout the orbiter fleet. After thorough review and discussions, NASA chose Discovery as the orbiter to return America to space on STS-26. 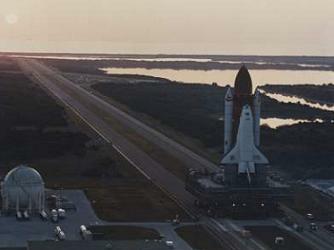 Moving to the VAB on June 21, 1988, Discovery was mated to her ET/SRB stack prior to rollout to Pad 39B on July 4. 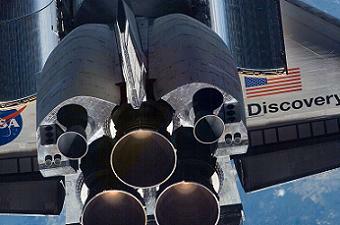 Following a Flight Readiness Firing, Discovery’s Return to Flight launch date was set for September 29 at 09:59 EDT. On launch day, liftoff was delayed 1hour 38minutes to replace fuses in the cooling suits of two of the crew’s flight pressure suits and due to lighter than expected upper atmospheric winds. Due to these delays, Discovery launched at 11:37 EDT – one numerical minute shy of the exact time that Challenger had launched on Jan. 28, 1986. STS-26 went on to deploy the TDRS (Tracking Data Satellite Relay)-3 satellite into orbit – a mission objective originally planned for the ill-fated STS-51L/Challenger mission. Likewise, Discovery’s 8th flight, STS-29 in March 1989, deployed another TDRS satellite. Launch of STS-29 had initially been planned for February 18 but was delayed to allow for the replacement of suspect Liquid Oxygen Turbopumps on Discovery’s SSMEs. Once in orbit, one of the three hydrogen cryo tanks experienced erratic pressure fluctuations and was shut down on Flight Day 1 (FD-1). The tank was reactivated on FD-3 and operated successfully for the remainder of the mission. Discovery then spent eight months on the ground before launching on STS-33 in November 1989. Liftoff was delayed from November 20 due to a suspect integrated electronics assembly which controls ignition and separation of the twin SRBs. During the five day mission, Discovery’s STS-33 crew carried out classified Department of Defense tasks before returning to Earth on Nov. 27. This mission also marked the first night launch following the Challenger accident. 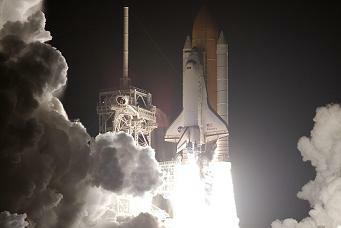 Discovery would again make the first night launch after the Columbia accident during STS-116 in 2006. After the successful return of Discovery from STS-33, she was processed for what is arguably her most important mission: STS-31 and the deployment of the Hubble Space Telescope. The initial launch attempt on April 10 was scrubbed at the T-4minute mark due to a faulty valve in one of Discovery’s three APUs (Auxiliary Power Units). The APU in question was replaced and launch retargeted for April 24, 1990. The launch attempt on April 24 was momentarily halted at the T-31second mark when computer software failed to shut a fuel valve line on the ground support equipment. The valve was quickly shut by remote command from the Launch Team and Discovery lifted off at 08:33:51 EDT. Discovery’s crew deployed the Hubble Space Telescope into Earth orbit the following day. STS-31 marked the 10th flight of orbiter Discovery and the first time since 1986 that two Space Shuttles occupied both KSC launch pads simultaneously, with Discovery on Pad-B and Columbia on Pad-A. 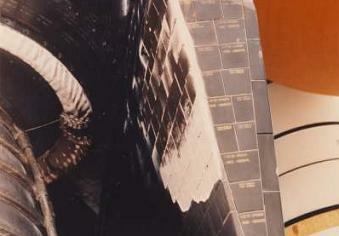 Discovery’s next mission was STS-41 (Oct. 1990), during which she deployed the Ulysses probe to study the sun. Due to Ulysses’s requirement to study the sun at multiple latitudes, the probe was launched on a course toward Jupiter, using a gravity assist from Jupiter to place itself into its proper orbit. Ulysses’s mission lasted a whopping 19 years, finally terminating on June 30, 2009. Discovery was then called upon to fly a DoD (Department of Defense) mission in April 1991 before once again flying on STS-48 in September that same year. 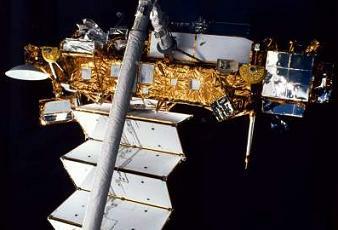 During STS-48, the Upper Atmospheric Research Satellite was deployed. Then, in January 1992, Discovery flew the STS-42 mission: an eight day microgravity scientific research mission utilizing the Spacelab module. Discovery’s only other mission in 1992 was STS-53 in the month of December. That mission carried a then-classified DoD payload to orbit and marked the last major payload flight for the DoD of the Shuttle Program. Discovery’s next mission occurred in April 1993 on STS-56. During this flight, Discovery’s crew conducted numerous experiments with ATLAS-2 (Atmospheric Laboratory for Applications and Science-2) to collect data on the relationship between the sun’s energy output and Earth’s middle atmosphere and how these factors affect the ozone layer. The crew also deployed the SPARTAN-201 satellite, a free-flying science instrument platform designed to study velocity and acceleration of the solar wind and observe the sun’s corona. SPARTAN-201 free flew for two days before being retrieving by Discovery’s crew. Upon return to Earth, Discovery was processed for STS-51 later that year. The initial launch attempt for STS-51 on July 17 was scrubbed due to the premature charging of the eight SRB hold down bolts and the ET GH2 (gaseous hydrogen) vent arm bolts. A circuit card in the pyrotechnic initiator controller was identified as the cause of the problem, and the card was replaced. A subsequent launch attempt on July 24 was also scrubbed when problems with a hydraulic power unit on one of the SRBs arose. 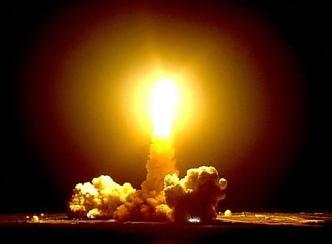 Launch was then rescheduled for mid-August to deconflict with the Perseid meteor shower. The launch attempt on August 12 proceeded nominally through Main Engine ignition when, at T-3seconds, a RSLS abort was tripped by Discovery’s computers due to a faulty fuel flow sensor in one of the Main Engines. This marked the 4th post-SSME start RSLS abort in Shuttle Program history and the second post-SSME start RSLS abort for orbiter Discovery. To this day, Discovery is the only Shuttle orbiter to have suffered two of these types of pad aborts. Discovery and STS-51 was successfully launched on September 12, 1993 to deploy the Advanced Communications Technology Satellite (ACTS). Astronauts also performed one spacewalk during the mission to test tools and techniques that would be used on the STS-61 mission in December that year to save the Hubble Space Telescope which was found to have a vision problem after deployment from Discovery in 1990. 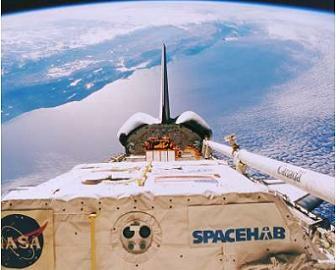 STS-51 also marked the first time a Shuttle mission flew with a GPS receiver. It would not be until August 2007 that a full 3-string GPS system would be used by the Shuttle fleet. Discovery’s next mission would once again feature a first for the Shuttle Program: the first US/Russian Shuttle-MIR Program flight. The mission, STS-60, carried the first Russian cosmonaut to fly on the Space Shuttle, and, while the mission did not dock to or come anywhere near the MIR space station, the mission did conduct the first bi-directional audio and downlink video hookup between the Shuttle and MIR. However, STS-60 is more widely known for its SPACEHAB experiments and Wake Shield Facility experiment – which was conducted from the end of the SRMS (Shuttle Remote Manipulator System) after multiple attempts to deploy the experiment failed or were cancelled. Later that year, Discovery flew the STS-64 mission, a flight that marked the first use of the Lidar In-space Technology Experiment and the first untethered US spacewalk in 10 years. STS-64 also saw astronauts test a new SAFER device for EVA use. 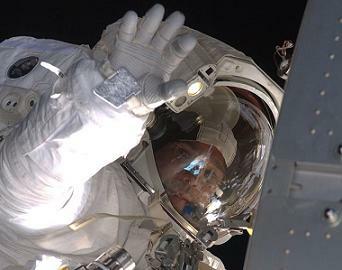 SAFERs are now a mandatory part of all EVAs (spacewalks) conducted by NASA. Then, in February 1995, Discovery (STS-63) became the first Shuttle to carry a female pilot (Eileen Collins) and the first Shuttle orbiter to perform proximity ops with the Russian space station MIR. 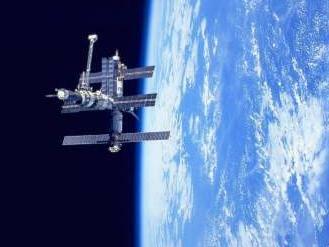 During the proximity ops, Discovery was maneuvered to within 11 meters distance of MIR. STS-63 and Discovery paved the way for the start of joint Shuttle/MIR docked missions later that year. STS-63 also marked the 20th flight of orbiter Discovery. Discovery’s 21st mission (STS-70) was then flown in July that year and deployed another TDRS satellite into Earth orbit, as well as conducted numerous scientific and medical experiments. STS-70 further marked the first flight of a new Block I SSME, featuring new high-pressure liquid oxygen turbopumps, a two-duct powerhead, a baffleless main injector, a single-coil heat exchanger, and start sequence modifications – all designed to improve engine performance and safety. Following this mission, Discovery was returned to Palmdale, CA for an Orbiter Modification Down Period, during which Discovery received a overhaul to prepare her for MIR and ISS mission operations. Following the year-long procedure, Discovery was returned to the Kennedy Space Center in 1996 and prepared for her role on the 2nd Hubble Telescope servicing mission. Launched on Feb. 11, 1997, STS-82 replaced the Goddard High Resolution Spectrograph and the Faint Object Spectrograph with the Space Telescope Imaging Spectrograph (STIS) and the Near Infrared Camera and Multi-Object Spectrometer, respectively. Additionally, Hubble received a refurbished Fine Guidance Sensor, a replacement Solid State Recorder, and a new Reaction Wheel Assembly during Discovery’s visit. 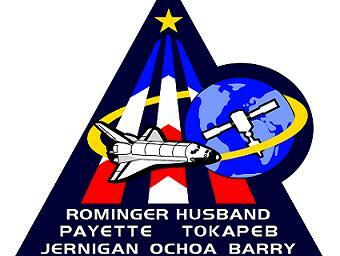 Following STS-82, Discovery was processed for STS-85 in August 1997. This 12day mission performed numerous scientific experiments, with the primary payload being the Cryogenic Infrared Spectrometers and Telescopes for the Atmosphere-Shuttle Pallet Satellite-2. Discovery then spent 10 months on the ground before taking flight again in June 1998 on STS-91 – a mission that marked the 9th and final docked Space Shuttle mission to the Russian MIR space station. The mission also represented Discovery’s first and only docking to MIR. STS-91 also marked the first time that a Shuttle orbiter was launched with a Super Lightweight External Tank, which represented a 7,500lbs weight reduction to aid in payload upmass capability during construction flights to the soon-to-be International Space Station. Discovery returned several long-term US experiments from MIR via the SPACEBAN single module during STS-91. Among further note for STS-91 is the flight of the prototype Alpha Magnetic Spectrometer (AMS) – a payload via AMS-2 that will be permanently attached to the International Space Station in 2011. After this mission, Discovery was then called upon in October 1998 to fly what would be her last solo flight (meaning a mission that did not dock to Space Station or rendezvous with the Hubble Space Telescope). 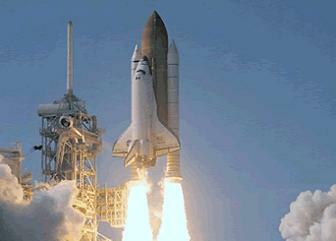 Discovery was launched on STS-95 on Oct. 29 at 14:19:34 EDT. Onboard Discovery was then-US Senator John Glenn, who decades earlier had become the first American to orbit the Earth. During STS-95, Glenn became the oldest person ever to fly in space at the age of 77 – an honor he still holds today. The nine day mission represented the 25th flight of orbiter Discovery and conducted several life-sciences experiments and validated future experiments for the Hubble Space Telescope. However, the mission is most notable (after John Glenn’s presence, that is) for the detachment of the Orbiter drag chute door seconds before liftoff. While in orbit, NASA managers reviewed all necessary data and attempted to photograph this portion of Discovery using a military satellite, a procedure that proved fruitless. Eventually, it was determined that Discovery was safe to return to Earth; however, as a safety precaution, the crew was instructed not to deploy the drag chute upon landing. Following completion of STS-95 on November 7, Discovery was processed for her first-ever ISS mission. Launched on May 27, 1999 at 06:49 EDT, Discovery and STS-96 became the first Shuttle orbiter to dock with the ISS. The nine day mission delivered numerous supplies and outfitting equipment to the still unmanned orbital laboratory before concluding on June 3. 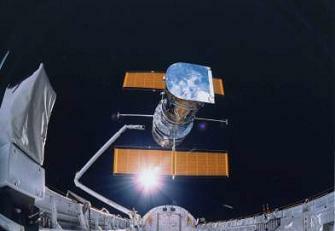 Discovery was then called upon in December 1999 to conduct the emergency HST-3A servicing mission following the failure of three of the Hubble Telescope’s six gyroscopes. Four new gyroscopes were installed during the mission, as well as a new guidance sensor, a new computer, a voltage/temperature kit for the telescope’s batteries, a new transmitter, a solid state recorder, and new thermal insulation blankets. 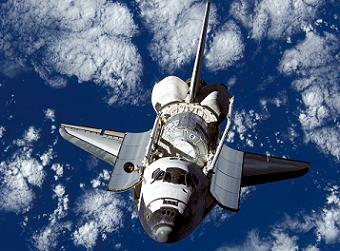 After successfully completing the STS-103 mission to Hubble, Discovery was processed for mission STS-92. Launched on Oct. 11, 2000, the mission represented the 100th Space Shuttle flight in history and delivered the Z1 truss, Control Moment Gyros, Pressurized Mating Adaptor 3, and two DDCU heat pipes to the International Space Station. Moreover, Discovery’s next flight, STS-102 in March 2001, delivered the 2nd permanent ISS crew to the space station and returned the 1st crew safely to Earth. The mission was also tasked with resupplying the ISS. Discovery was then tasked with one more flight before entering another Orbiter Modification Down Period (OMDP). 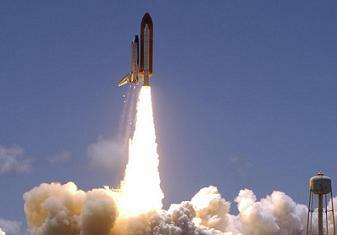 STS-105 was launched in August 2001. During the 12 day flight, Discovery rotated the Expedition 2 crew with the Expedition 3 crew and resupplied the ISS via the MPLM (Multi-Purpose Logistics Module) Leonardo. STS-105 concluded with a touchdown at the Kennedy Space Center on August 22, after which Discovery was prepared for OMDP. Sadly, it was during this OMDP that tragedy struck the Shuttle Program once more. On February 1, 2003, sister orbiter Columbia broke apart 207,000ft above Central Texas while reentering Earth’s atmosphere at the end of what had been the highly successful STS-107 microgravity scientific research mission. The loss of Columbia grounded the Shuttle fleet (now only consisting of Discovery, Atlantis, and Endeavour) for two and one half years while engineers examined the cause of the Columbia accident and effected modifications to not only the External Tank’s TPS (Thermal Protection System) foam but also to the orbiters themselves. Equipped with numerous safety upgrades including Wing Leading Edge Impact Detection sensors and an Orbiter Boom Sensor System (OBBS) to allow astronauts to scan the Wing Leading Edge RCC and nose cap panels, NASA enacted a wide-ranging safety upgrade on the orbiter fleet based on the recommendations from the Columbia Accident Investigation Board. After two years of investigation, research, and safety implementation, NASA stood ready to return the Shuttle fleet to flight with the express purpose of completing construction and outfitting of the International Space Station by the congressionally mandated end date of September 30, 2010. Initially, NASA’s Return to Flight (RTF) plans called for one Shuttle mission (designated STS-114) to carry out the RTF objectives; however, as those objectives and tests grew, a second RTF mission was added to the manifest, STS-121. Under the original plan, Atlantis was selected as the Return to Flight orbiter for STS-114, with Discovery taking up the all-important roll as Launch On Need rescue vehicle for STS-114 as well as the primary vehicle for STS-121. This decision was reached in large part due to the fact that the follow up mission to STS-121, STS-115, was scheduled to deliver the P3/P4 truss and solar array structure to the ISS. The P3/P4 truss was too heavy to be launched by Discovery, leaving only Atlantis to fly that mission since Endeavour was still undergoing OMDP activities and was thus unavailable for mission duties. 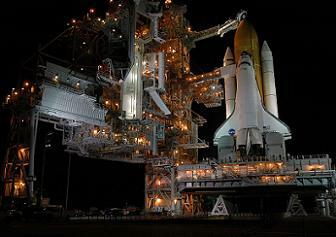 However, a last-minute issue with an improperly installed gear in Atlantis’s braking system forced NASA to alter its plan and thereby hand Discovery the RTF STS-114 mission. Initially rolled out to launch pad 39B on April 7, 2005 for a targeted May 2005 launch, a tanking test on Discovery and her External Tank on April 14 resulted in a LH2 (Liquid Hydrogen) Engine Cutoff (ECO) sensor anomaly – the sensors read as “dry” when there was hundreds of thousands of gallons of LH2 in the tank. Subsequent analyses did not resolve the issue to the satisfaction of NASA managers and the decision was made to roll Discovery back to the VAB to swap stacks, placing Discovery on the originally intended STS-121 stack. Discovery was rolled back on May 26, demated on May 31, and mated to her new stack in early June. 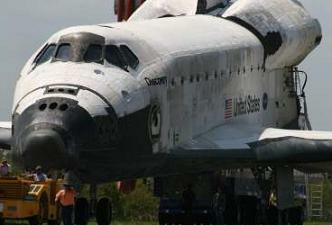 Discovery and the new STS-114 stack was returned to LC-39B on June 14 ahead of a targeted July 13 launch. Discovery’s payloads were installed shortly thereafter and preparations for RTF proceeded smoothly. On June 29, NASA officially cleared Discovery for launch following the conclusion of the two-day Flight Readiness Review – thereby paving the way for a liftoff on the afternoon of July 13. On the morning of July 13, fueling of the External Tank proceeded without issue. 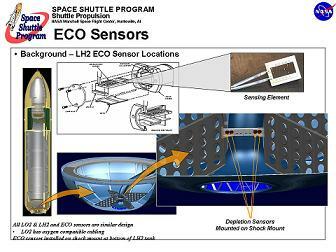 However, during routine pre-launch checkouts of the LH2 ECO sensors on Discovery’s new tank, a sensor once again failed “dry.” NASA called a scrub and, while initially targeting only a few days’ delay, eventually opted to conduct more thorough troubleshooting of the ECO sensor anomaly. Unable to replicate the issue under non-cryogenic conditions, NASA developed a three-step process to carry out before conducting any further launch attempts. 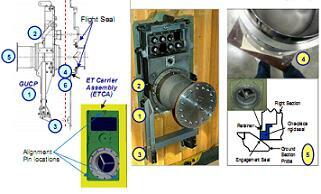 First, engineers conducted tests to look at electromagnetic interference as a factor in the sensor system circuit. Second, workers swapped circuits for two of the four sensors to provide a means to isolate the problem to the wiring or the point sensor box in case the problem recurred during the next launch attempt. Finally, engineers shored up the electrical grounding to reduce the chance of electromagnetic interference with the sensor system. With those procedures complete, NASA proceeded with the second launch attempt for STS-114 on July 26. All countdown procedures occurred as planned and no anomalous indications were received from the LH2 ECO sensors. Final polls were conducted and a unanimous “GO” decision reached. 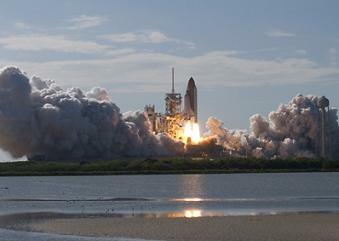 The countdown resumed for the final time at exactly 10:30:00a.m., and at 10:39:00 – the exact same numerical time (down to the second) that STS-107/Columbia had launched) – Discovery’s SRBs ignited and the Shuttle Program returned to flight for the second time on Discovery. 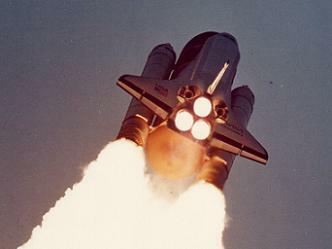 Once safely in orbit, Discovery’s crew performed several firsts for the Shuttle Program. On FD-2, they used the OBSS to scan Discovery’s WLE RCC and nose cap panels for any debris damage that might have occurred during launch; on FD-3 Eileen Collins guided Discovery through a 360-degree backflip maneuver (called the R-bar Pitch Maneuver) to allow ISS crewmembers to take high resolution digital photographs of Discovery’s underbelly TPS; on FD-9, Steve Robinson became the first person to ever perform a “repair” of an orbiter’s Thermal Protection System while in orbit when he pulled two protruding gap fillers from between two TPS tiles. This repair not only represented the first time that an exterior portion of a Shuttle orbiter had been repaired while in space, but also the first time in history that ANY launch/entry spacecraft’s exterior was repaired in-flight. During the docked portion of the mission, Discovery’s flight was officially extended by one day to allow the Shuttle crew to help better position the ISS (via the transfer of more equipment/supplies from Discovery to ISS) during the following grounding period of the Shuttle fleet. 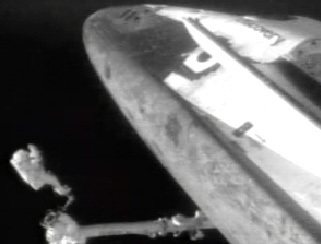 This grounding, which occurred after Discovery’s launch, was implemented due to a large External Tank foam liberation event seen in the seconds following SRB separation. The foam in question liberated from the ET’s PAL (Protuberance Air Load) ramp and narrowly missed the leading edge of Discovery’s left wing. NASA announced the grounding of the Shuttle fleet one day after Discovery’s launch, stating that the fleet would be grounded until the foam liberation problem could be analyzed and fixed. After 13days 21hours 32minutes 48seconds in space, Discovery successfully glided to a picture-perfect pre-dawn landing at Edwards Air Force Base, CA following four weather-related landing wave-offs from the Kennedy Space Center. Following initial post-flight deservicing, Discovery was mated to the SCA and ferried back to the Kennedy Space Center, where more thorough deservicing operations were conducted as NASA continued to evaluate the ET foam liberation problem, as well as when the Shuttle fleet could resume flight operations. 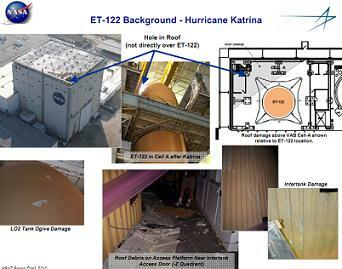 Complicated by the damage caused by Hurricane Katrina at the ET’s Michoud Assembly Facility production plant in New Orleans, Louisiana, NASA originally targeted March 2006 for the second RTF mission: STS-121. With this much time between missions, NASA decided to alter the vehicle assignment manifest, removing Atlantis from STS-121 and assigning Discovery instead. This reassignment was done to optimize the launch manifest which, prior to the Orbiter swap would have seen Atlantis fly back-to-back missions on STS-121 and STS-115 with Discovery processed for LON support for both missions before returning to service on STS-116. Under the new manifest order, however, Discovery took STS-121 while Atlantis retained STS-115 (as she was still the only Orbiter in flight condition with a low enough weight to launch the P3/P4 truss), thereby eliminating a large gap between STS-121 and STS-115 – the time it would have taken to turn Atlantis around. Under further revisions to the launch manifest as ET modifications were carried out in the wake of STS-114 and Hurricane Katrina, STS-121 was eventually scheduled for No Earlier Than July 1, 2006. Mission preparations proceeding on schedule and Discovery was rolled over from her OPF on May 12, 2006 and mated to ET-119. On May 19, the entire Discovery/STS-121 stack was moved to LC-39B where the final month and half of launch preparations took place. Included in these final preparations was the first ever effort by NASA to control the avian debris risk posed to the Shuttle stack in the initial moments of launch. These precautions followed an event in the first few seconds of Discovery’s STS-114 launch one year earlier in which a Turkey Vulture was speared by the tip of the External Tank. 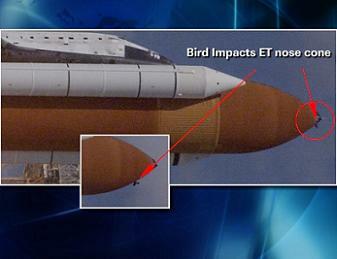 That bird fell harmlessly down the “backside” of the External Tank and posed no threat to Discovery; however, post-flight analysis revealed the potential risk numbers for TPS damage due to an avian collision. Specific precautions taken during the STS-121 launch campaign included, among other things, the swift removal of roadkill near Pad-B and the trapping of Turkey Vultures around Pad-B in the days before launch. 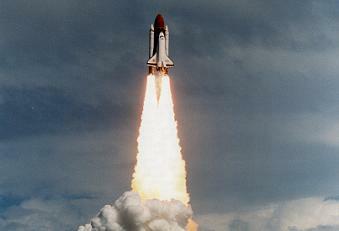 At 14:37:55 EDT, Discovery became the only Space Shuttle (to date) to launch on Independence Day. With a star spangled start to STS-121, Discovery spent nearly 13 days in space, nine of them docked to the ISS. During the mission, Discovery delivered Thomas Reiter to the ISS – thereby increasing the Station’s crew size back to three for the first time since March 2003. Discovery also delivered a -80-degree freezer, a new oxygen generation system, a new cycling machine, and the European Modular Cultivation System to the ISS. STS-121 also completed all RTF test objectives and debuted two new safety features: two cameras on each Solid Rocket Booster to further monitor foam loss from the External Tank and the OBSS late-inspection (post-undocking) of an orbiter’s WLE and nose cap RCC panels. 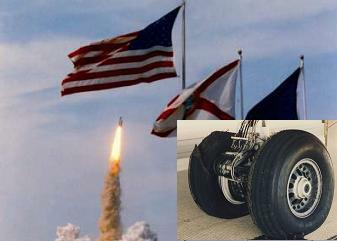 Both of these safety features became permanent aspects of Shuttle missions following STS-121. After successfully landing at the Kennedy Space Center on July 17, Discovery was towed to her OPF where she was turned around in just three and a half months. On Oct. 31 she was rolled over to the VAB where she was mated to the STS-116 ET/SRB stack on November 1. Rollout to Pad-B occurred on November 11 for a targeted December 14 launch. During the final Flight Readiness Review on Nov. 29th, NASA officially announced a one week advancement to STS-116’s target launch date, from Dec. 14 to Dec. 7. While teams were alerted of the potential advancement of the launch date weeks before, the advancement was not official until the conclusion of the FRR. The opening launch attempt on December 7 then proved dynamic from a weather perspective, alternating between green and red conditions as the countdown proceeded toward the T-9minutes and holding mark. During the final Go/No Go poll, the recommendation was made to pick up the count and hold at T-5 minutes for further weather evaluation – the hope being that weather would be found acceptable during the 5-minutes of available hold time at T-5minutes. Nonetheless, the weather was deemed unacceptable and the launch scrubbed at the T-5minutes and holding mark. Due to an unfavorable weather forecast the following day, launch was rescheduled for Dec. 9. Despite an initial 70% no go forecast, Discovery’s second launch attempt for STS-116 proceeded without issue, resulting in an on-time liftoff at 20:47:35 EST, the first nighttime Space Shuttle launch in just over four years (and the first since the Columbia accident). Launch of Discovery and STS-116 marked the final time a Space Shuttle launched off of pad 39B, which began its service to the Shuttle Program with the ill-fated STS-51L/Challenger mission. However, one more Shuttle (Endeavour/STS-400) would grace Pad-B in Sept./Oct. 2008 and April/May 2009 during the launch campaigns for the STS-125 mission to the Hubble Space Telescope. During STS-116, Discovery brought Sunita Williams to the station (who subsequently set a duration record for most time spent in space during a single mission for a woman) and returned Thomas Reiter to Earth, delivered and installed the P5 spacer truss to ISS, made final connections on ISS for the Station to Shuttle Power Transfer System (SSPTS), and marked the final flight of the Assembly Power Converter Units on Discovery – which became obsolete with the new SSPTS system. STS-116 was also tasked with a major rewiring of the Station’s power channels – an objective that was completed with resounding success. However, during the course of Discovery’s docked mission, retraction of the port side of the P6 solar array – to enable the solar auto-track function of the P3/P4 truss arrays – was interrupted when the P6 array failed to retract properly. In all, 14 of the 31 solar array bays were retracted. giving enough clearance to enable auto-track for the P3/P4 arrays. Nonetheless, subsequent efforts to retract the P6 array, while achieving some progress, where ultimately unsuccessful. 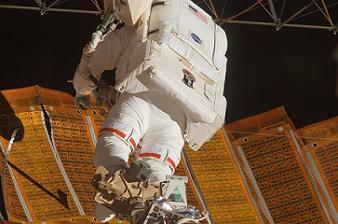 This led NASA to formally extend Discovery’s mission and add an unplanned/unscheduled EVA to the mission to allow astronauts to physically manipulate the retraction of the array. EVA-4 was successfully completed on December 18 with the full retraction of the port side P6 array. After nearly 13 days in space, Discovery’s opening landing attempts were scheduled for December 22. Given the already extended nature of the mission, and limited consumable status, NASA decided that Discovery would need to land somewhere on December 22. However, due to unfavorable weather forecasts at Kennedy and Edwards, all three US landing sites were activated on Dec. 22 and, for the first time since STS-3 in 1983, the distinct possibility of having to land the Shuttle at White Sands Space Harbor, New Mexico, came into play. 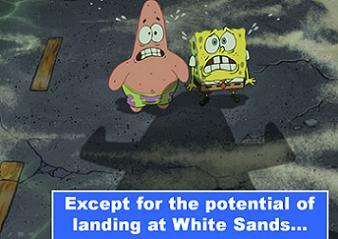 (Image left – Internal MER joke about landing at White Sands). This ultimately proved unnecessary as Discovery was able to beat the weather odds again and gain clearance from Mission Control to deorbit and land at the Kennedy Space Center – with landing occurring at the exact minute of local sunset at Kennedy. Discovery was then prepared for her role on STS-120. Launched on October 23, 2007 (and again beating 60% no go weather odds), STS-120 marked the first time that orbiter Discovery carried a permanent, pressurized module to the International Space Station. Under the command of Pamela Melroy, Discovery docked to the ISS on Oct. 25, facilitating the first (and to date, only) meeting of two female commanders in history: Melroy commanding Discovery and Peggy Whitson commanding the ISS. The marathon 15day 2hour mission delivered Node-2 Harmony to the ISS, thereby enabling the future deliveries of ESA’s Columbus lab and Japan’s Kibo lab complex to the ISS. Additionally, Discovery’s crew was tasked with relocating the P6 truss from its temporary home on the Z1 truss to its permanent location on the P5 truss. After relocation was complete, the P6 truss’s solar arrays were redeployed (having been retract on STS-116 and STS-117). During the redeployment, a tear in the 4B solar array was noted by the crew, who halted the redeployment sequence. NASA, upon review of the situation, determined that the best course of action was to delay and alter an already reworked EVA-4 and create specialized tools (ones that would not transfer the energy gathered by the arrays from the tool the astronaut) on the ISS to aid spacewalker Scott Parazynski in his efforts to “assist” in the full deployment of array while preventing more tearing of the array bays. The first-of-its-kind spacewalk was carried out on FD-12 and involved modifying the OBSS with a foot restraint, attaching Parazynski to the OBSS, and then using the SSRMS (Space Station Remote Manipulator System) to extend Parazynski on the OBSS to the array in question. The EVA-4 was a smashing success and the 4B array was successfully redeployed to full extension. 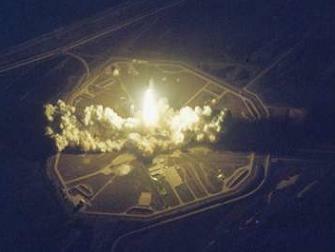 Due to the scheduling of the added mission day, and a desire to get as much mission content in as possible, NASA opted to return Discovery to Earth on a descending node reentry, bringing the vehicle into Earth’s atmosphere over the heartland of continental United States – a reentry procedure that had initially been banned under post-Columbia flight rules due its large over-flight of populated areas. Following a gorgeous landing on November 7, Discovery was prepared for her next mission, the STS-124 flight to deliver the premiere Kibo lab for JAXA and Japan. Launching on May 31, 2008, the 14-day flight represented the second of three flights to assemble the massive Kibo lab for Japan. In addition to launching the Kibo module itself, Discovery also carried the JRMS (Japanese Remote Manipulator System) to the ISS on this flight. Astronaut Karen Nyberg became the 50th woman to travel into space on Discovery/STS-124. STS-124 also marked the first time since the Columbia accident that a shuttle orbiter launched without an OBSS. Due to the unique size of the Kibo module, the module precluded NASA the option to fly an OBSS with Discovery due to clearance issues during the physical launch. As such, the crew of the previous Shuttle mission left their OBSS on the Space Station. 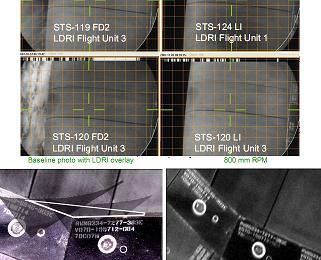 During FD-2, Discovery’s crew used the SRMS (Shuttle Remote Manipulator System) camera to conduct a preliminary and abridged survey of the WLE and nose cap RCC panels. Upon arrival at the ISS, Discovery’s crew retrieved the OBSS. Due the RPM backflip, mission managers were able to clear Discovery of the need for a Focused Inspection; however, a detailed, and longer-than-normal, post-undocking late-inspection of Discovery’s WLE and nose cap RCC panels was carried out by the crew to further minimize the debris damage risk. Discovery returned from STS-124 on the morning of June 14 for a late-morning landing at the Kennedy Space Center, where processing immediately began for her next mission: STS-119. Originally targeted to launch in February 2009, STS-119 incurred a one month delay due to on-going evaluations and testing on the Flow Control Valves (FCVs). 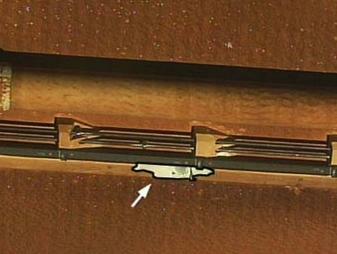 After the conclusion of the previous mission (STS-126 on Endeavour), one of Endeavour’s FCVs was found to have cracked. This decision to delay Discovery’s launch highlighted the strict attention to safety of the Agency, with numerous managers saying that Discovery would not be launched until the problem with the FCVs was solved or meditated. Eventually, an engineering solution was found and implemented on Discovery and an initial launch date of March 11 was set. During the first launch attempt, a gaseous hydrogen leak from the GUCP (Ground Umbilical Carrier Plate) was detected toward the end of External Tank fueling. The launch was scrubbed and a seal R&R (Removal & Replacement) on the GUCP was ordered. Nonetheless, launch of Discovery on March 15, 2009 also mandated a truncated mission to avoid consequences with a Solar Beta Angle Cutout. 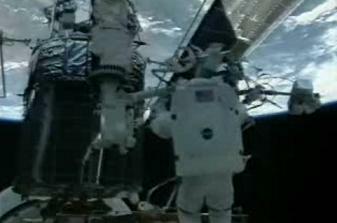 A total of two mission days and one EVA were lopped off the back end of the mission as a result. During STS-119, Discovery delivered the final truss element and set of solar arrays to the ISS and once again beat the weather odds and returned to land at the Kennedy Space Center on March 28. 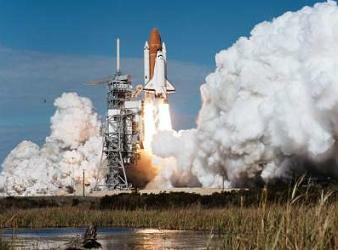 STS-119 further marked a major milestone in the Shuttle Program’s history: the 100th post-Challenger mission. Like, STS-119, Discovery’s next mission (STS-128) marked another impressive milestone, the first manned mission to launch on one calendar day and reach its preliminary orbit on the next. Launching at 23:59:37 EDT on August 28, 2009, Discovery soared into the midnight sky with thousands of pounds of equipment and internal logistics/experiments for the ISS in the Leonardo MPLM. Liftoff of Discovery occurred on the third launch attempt, following a weather scrub and an equipment-related scrub due to suspect indications from the PV-12 fill and drain valve. During the mission, Discovery delivered nearly 20,000lbs of payload to the ISS, including the COLBERT treadmill and yet again celebrated her birthday (Aug. 30) in orbit. After one landing wave-off day, Discovery returned to Edwards Air Force Base on September 11 for a late-afternoon landing. Upon ferry flight return to Kennedy, Discovery was processed for the STS-131 mission, targeted for mid-March 2010. With OPF processing complete, NASA was forced to delay the rollover and mating of the Discovery to her External Tank because of unacceptably cold temperatures that could have cause major problems for her RCS thrusters during the time she could not be hooked up to heaters in the VAB. Discovery was finally moved to the VAB on February 22 – ten days later than originally planned. Launch was subsequently moved to NET April 5 to accommodate pad processing and ISS needs. The countdown for STS-131 proceeded without issue and Discovery lifted off on Monday, April 5, 2010 at 06:21:22 EDT – 49 minutes before sunrise and 17-mintues after a long, visible pass of the ISS over the Kennedy Space Center. STS-131 and Discovery marked the final scheduled nighttime launch of the Space Shuttle Program, the first time that four women were working together in space (three on Discovery, one on ISS), the last flight of the Space Shuttle to carry rookie astronauts, the last flight of a Japanese astronaut on the Space Shuttle, and the first time that two Japanese astronauts were in space together (one on Discovery, one on ISS). During the 15day 2hr flight, Discovery delivered nearly 20,000lbs of internal cargo to the ISS via the MPLM Leonardo and three EVAs were conducted at the Station. Following one weather wave-off day, and a single orbit wave-off due to weather concerns, Discovery returned to the Kennedy Space Center on April 20 following a descending node reentry over the United States, landing on Runway 33 15days 2hours 47minutes and 11seconds after launch. With this, STS-131 stands as Discovery’s longest flight. Since STS-133 (her next and final mission) will not carry the consumables needed to fly a mission of this length, STS-131 will hold the record for longest successful flight of orbiter Discovery. Following STS-131, Discovery spent just over 4 months in OPF-3 processing for her 39th and final flight: STS-133/ULF5. On September 9, 2010, Discovery was rolled to the VAB for mating with ET-137 (External Tank 137). This was Discovery’s 41st rollover to the VAB for ET mating in her 39-mission career. The 44th rollout of Discovery to Pad-A then occurred on Sept. 20/21, 2010. Once at Pad-A, Discovery began final launch processing ops for her scheduled Nov. 1 launch. On Oct. 14th, an OMS pod fuel line leak was detected. Nine days later, pad engineers completed seal removal and replacement activities on the Right OMS crossfeed flange. This R&R solved the leak and the Agency FRR approved launch for November 1. However, prior to the start of countdown operations, an o-ring seal was found to be stuck in one of Discovery’s Air Half Couplings – a situation which required correction prior to the start of the 3-day countdown. As such, the launch was slipped to Wednesday, November 3. 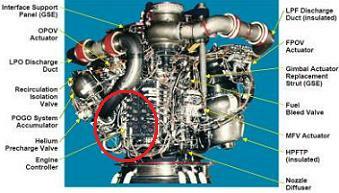 Then, on November 2, engineers performing Main Engine Controller powerup and checkout noted that the redundant controller on SSME-3 did not activate when commanded. During troubleshooting, the controller then activated itself without being commanded to do so. This led mission managers to postpone launch to Nov. 4 to give the teams time to review the issue, which was eventually cleared as a momentary loss of connection in a circuit breaker. On the morning of Nov. 4, the launch was again delayed 24hrs due to a completely unacceptable weather forecast for the afternoon of the 4th. On the morning of the Nov. 5th, ET fueling operations picked up on time and continued nominally until the hydrogen vent valve in the ET was opened to allow boiled-off gaseous hydrogen to vent from the tank. 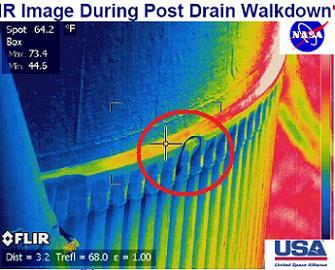 At this time, a leak indication was detected at the Ground Umbilical Carrier Plate (GUCP). This caused an immediate scrub and de-tanking of ET-137. However, a much more serious issue would present itself. During de-tanking operations, a stringer on the ET intertank structure snapped under cryogenic stress loads, thereby cracking and deforming the TPS foam on the external tank in the immediate area. With the leak of the GUCP and the crack to the ET foam, mission managers determined that Discovery would not be able to launch before the close of the early-Nov. launch window, and the launch was reset for NET Nov. 30. However, post-scrub inspections and TPS external tank foam removal quickly revealed the extent of the stringer failure and sparked an inspiring and thorough investigation. Additionally, NASA managers rescinded the NET Nov. 30 launch date and instead issued a “work to” date for Nov. 30 for Discovery’s launch – thereby demonstrating beyond a shadow of a doubt their firm and unwavering commitment to safety over flight schedule. As work progressed on not only the GUCP leak but also the stringer issue, engineers removed the failed stringer and adjacent damaged stringers (which cracked under the sudden redistribution of loads), and the Nov. 30-Dec. 6 launch window was ruled out. With the failed stringers replaced and a fix to the GUCP leak found, NASA managers elected to perform an instrumented Tanking Test on Discovery’s ET-137 in mid-December. 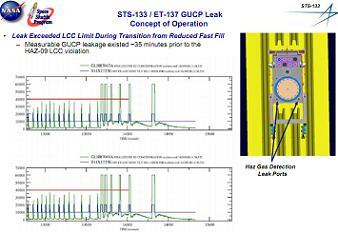 The test served two purposes: validate and verify GUCP leak resolution and monitor and determine stringer stress at the ET LOX/intertank flange area under both cryo and pressurized environments. With the tanking test complete, NASA then pressed forward with plans to roll Discovery back to the VAB for a complete inspection of all stringers on ET-137’s intertank region. Discovery was rolled back on December 22/23 to the VAB where a complete inspection revealed three cracked stringers on the “backside” of the tank. 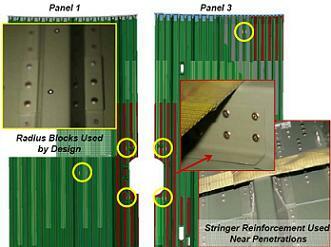 In January 2011, NASA engineers succeeded in determining root cause for the stringer crack issue. This information led to the decision to implement Radius block doubler installations on a vast majority of the stringers at the ET LOX/intertank flange. Completion of these modifications allowed NASA managers to set a NET launch date of February 24th for STS-133. However, before repairs were complete, STS-133 crew member Tim Kopra suffered an accident and had to be removed from the flight. Steve Bowen (STS-126 and STS-132) was selected to replace Kopra on the flight. This is the closest in Shuttle Program history that a crew member has been replaced prior to flight. With stringer modifications complete and a new crew member assigned, Discovery was returned to Pad-A on January 31/February 1, 2011. This marked her 45th rollout to a launch pad. In all, STS-133 has already marked the first time that two flight crewmembers were in space at the time of their assignment to a space flight as Nicole Stott and Mike Barrett were on the Space Station as part of the Expedition 20 crew in Sept. 2009 when the STS-133 crew was assigned. STS-133 will also mark the last flight of an African-American on the Space Shuttle and the first time that one person will fly back-to-back Shuttle missions: Steve Bowen on STS-132 and STS-133. This will also mark the first time that a Space Shuttle launches a non-living humanoid into orbit: Robonaut 2. The mission will also mark the delivery of the final permanent US segment pressurized module to the ISS and the second-to-last permanent pressurized module to the ISS. STS-133 will be the 164th American manned spaceflight, the 133rd flight of the Space Shuttle, the 80th Space Shuttle flight from Pad 39A, the 39th and final flight of Discovery, the 35th Space Shuttle mission dedicated to construction and outfitting of the International Space Station, the 108th post-Challenger mission, and the 20th post-Columbia mission. In all, over her 38 missions to date, Discovery has completed 5,628 orbits of Earth, spent 351 days 50 minutes 41 seconds in space, carried 246 unique people into Earth orbit, performed one docking to MIR and 12 to the ISS (soon to be 13), and traveled a grand total of 142,917,535 miles. She carried the first sitting Congressperson (Senator Jake Garn) into space and conducted the 100th world-wide manned launch on STS-51C, carried the first all-veteran space crew since Apollo 11 during STS-26, carried the first Voice Controller Unit which recognized and responded to human speech on STS-26, conducted the first unclassified DoD mission on STS-39, and performed the first live-downlink from Earth orbit with the Super Bowl (and first non-Earth and first human coin toss) on STS-42. During STS-63, she became the first orbiter for whom her crew wore the currently-used Advanced Crew Escape System pressure suits for launch and entry. Furthermore, on STS-95, she carried the first Spaniard into space and inaugurated ATSC HDTV when her launch was broadcast in HD nationwide. She also holds the distinction of reaching the highest orbital altitude of any Space Shuttle orbiter: 378 miles during the STS-103 mission to Hubble. She was also the first orbiter to undergo an OMDP at the Kennedy Space Center. And perhaps, above all, it is fitting that the workhorse of the Orbiter fleet will gain one more distinction upon completion of STS-133: she will be the first space-worthy orbiter in the 30 year history of the program to be retired from service after an awe inspiring and impressive career that has benefited the world community many times over. Discovery will then have the further honor of being retired for display at the National Air and Space Museum in Washington D.C. where she will be, as she has been with the Shuttle Program, the centerpiece of the collection.